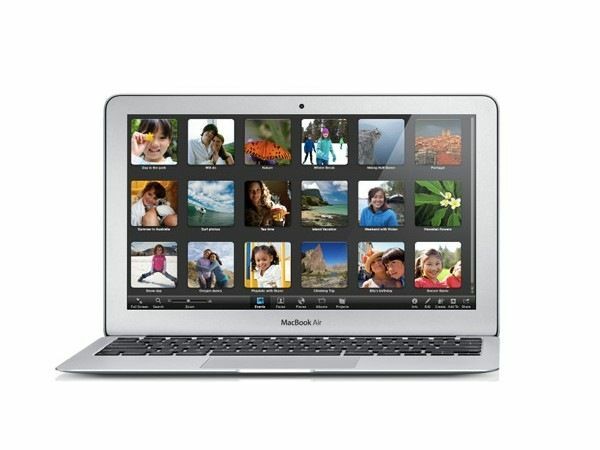 Tag Archive | "macbook air"
MacBook Air Refreshed with Haswell, Boasts 9+ Hours of Battery Life. Available Now. Yesterday at Apple’s annual developer conference, WWDC, the company revealed a refreshed version of the MacBook Air, the company’s thin-and-light Ultrabook competitor. 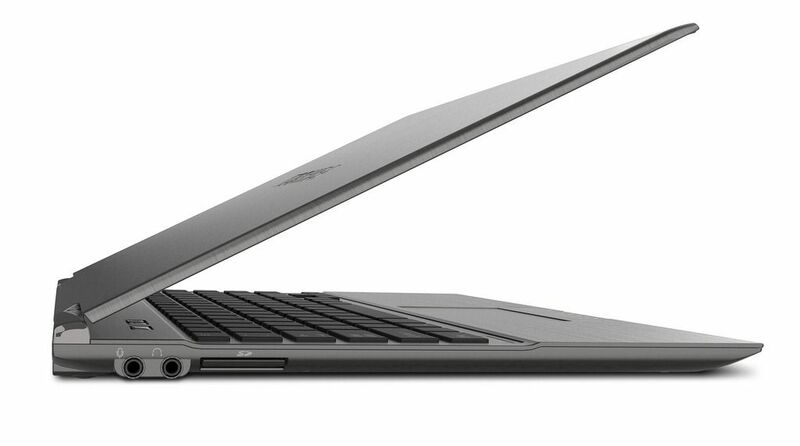 Both 11-inch and 13-inch versions are getting Intel’s latest Haswell chips. Apple claims 9 hours of battery life for the 11-inch Air and 12 hours for the 13-inch. 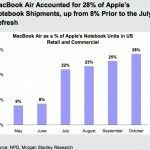 While critics have called Ultrabooks ‘MacBook Air Clones’, Apple may be falling behind. With talk about the potential dilution of the Ultrabook brand one would almost think that Intel hasn’t set clear guidelines about what defines an Ultrabook. On the contrary, whether or not a laptop manufacturer calls a new product an Ultrabook tells me a whole lot about the product right away. 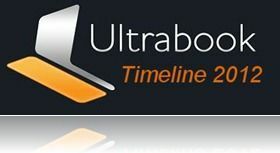 PC Advisor has run a story claiming that “The truth is that there are few definitive specifications for an Ultrabook,” apparently not realizing that this is part of the strategy. 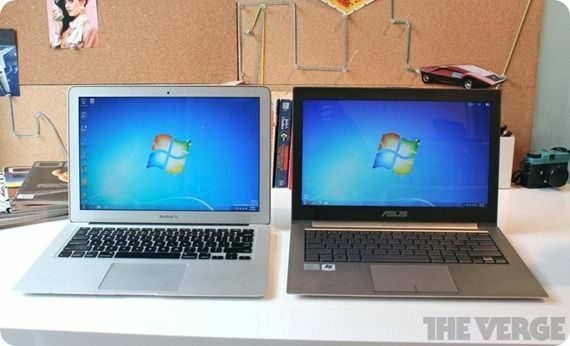 ASUS could be in trouble with those Zenbooks. LG with the Xnote. The Acer S7, Gigabyte X11, Dell XPS and others could be at risk too because Apple just secured a patent on a wedge design. 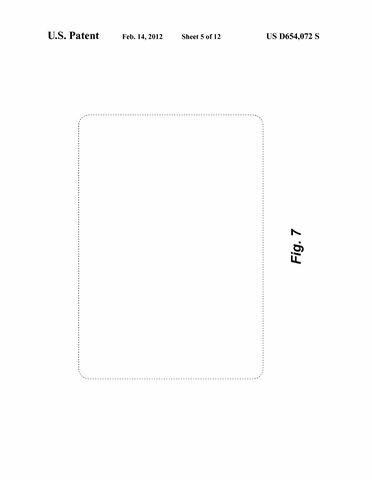 Apple now have a series of patents for the MacBook Air ‘ornamental design’ and we’re wondering just how much this could impact Ultrabook design in the future. When you see approvals for layouts such as the one below, you have to wonder! 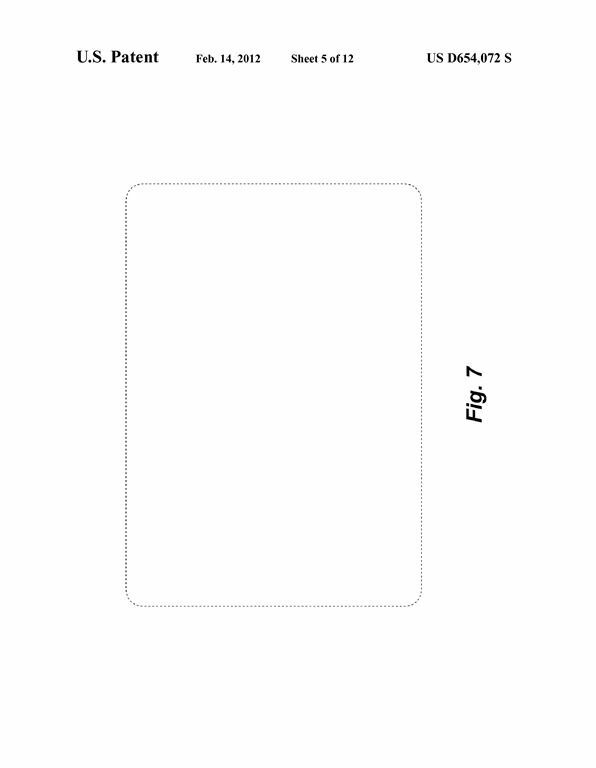 Yes, you’re looking at a featureless rectangle that was approved two days ago as Patent US D654072. It looks like this article from The Verge is more of a ‘must comment’ than a ‘must read’ but I encourage you to do both. Fellow tech blogger Joanna Stern has published a review of the MacBook Air running Windows. If any of you are still here after seeing the link, go back and read some of the comments. There’s a huge, and sometimes over-excited, comments section. 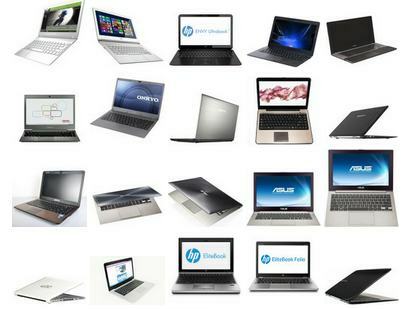 One thing is for sure, the Ultrabook sector is clearly a HOT topic. If you want a laugh at a spin on some good news this morning, read the story that Apples share of the Ultrabook market will fall. When you own nearly 100% of the market and you get your first competitors, the only way to go is down. the good news is that sales numbers, the important figures, will rise. 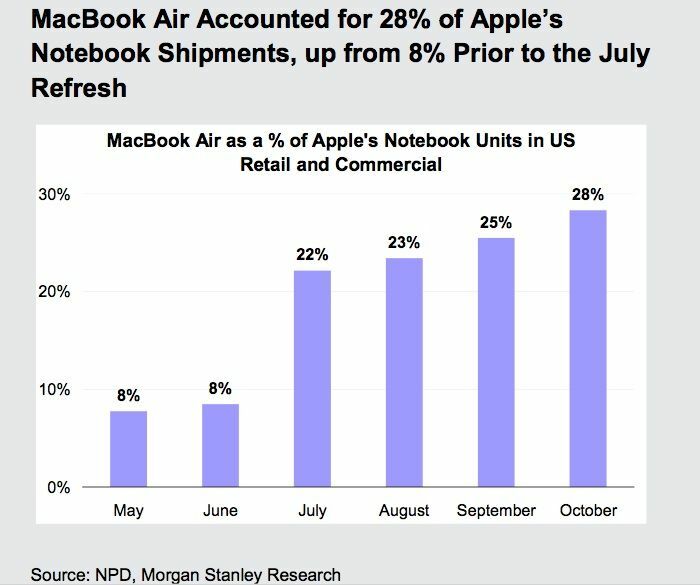 It’s estimated the the MacBook Air now accounts for 28% of all MacBook sales in the US market. Looking at the MBA as a sealed-unit, thin-and-light in a range of traditional notebook solutions, it’s interesting to draw comparisons to the Ultrabook in its larger notebook market. 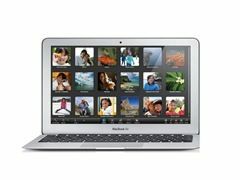 Specifications and links for the MacBook Air are in the database. 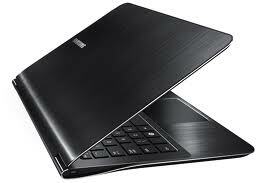 It’s taken the MBA 3 years to reach this penetration, the same could happen in the Windows notebook category and in a shorter timeframe because I believe much of the reason for the accelerated penetration seen by the MBA is because the platform, as used in all Ultrabooks, now meets or exceeds most customer expectations. In previous generations it didn’t. I’m not going to do any Ultrabook vs MacBook Air technical comparisons here (feel free in the comments section below) but I have taken the chance to drill down into some sales numbers that show some more dominance by the MBA in this thin-and-light market. I’ve pulled out two sets of figures from reports and estimates and although there is room for a lot of error here, there are indicators that the MBA is selling at a rate of 300000 units per month.